Worldwide Compressed Air Testing For Fire Service, Scuba, OSHA, Medical, Manufacturing, Pharmaceutical, Food & Beverage, Industrial Companies and Government and Military. Compressed breathing air quality testing for firefighters and SCBA air. Compressed air testing for SCUBA Grade E, PADI Dive Air, oxygen compatible and more! TRI Air provides equipment to test compressed air samples as part of air quality compliance, safety, SQF and validation programs. Compressed air purity is essential to many manufacturing, food processing, bottling and packaging operations. Testing includes direct & indirect product contact, USP, the European Pharmacopeia, or ISO 8573 standards. Solutions for medical gas testing standards including NFPA 99. THE LEADERS IN AIR TESTING SINCE 1975!  TRI Air Testing, an AIHA-LAP, LLC accredited laboratory, provides worldwide compressed air testing for fire service, SCUBA, OSHA, medical, manufacturing, pharmaceutical, food/beverage, industrial companies and the Government/Military. TRI Air Testing proudly pioneered the science of compressed air testing. TRI’s patented air/gas sampling equipment was designed in 1975 for the U.S. Navy Divers. Since then, TRI Air Testing continues to sponsor the U.S. Navy and Coast Guard D.C.A.T. program as well as other branches of the United States military. Over the years, TRI Air Testing has gained vast experience servicing a wide variety of industries. We provide a no cost consultation to help assess testing needs and create customized solutions to international standards for an individualized compressed air testing program. TRI offers fast 24-hour turnaround times on most analyses via MyAir™ with online access to laboratory reports, invoices, account status and more. DO YOU HAVE A MyAir™ Account? Click HERE to sign up and view lab reports, invoices, pay your bill, manage your compressed air testing account and more. Existing customers CLICK HERE. TRI is ANSI/ISO/ASQ 9001-2008 and ISO 17025-2005 compliant, an AIHA-LAP, LLC accredited laboratory and participates in a compressed air quality proficiency program. These accreditations and proficiencies ensure that our lab meets the highest standards of quality and can deliver reliable, consistent laboratory test results. To better meet our customer's expectations, we have expanded our ISO 9001:2008 Quality Program to include applicable elements of cGMP associated with 21 CFR Part 210 and 211. Stay safe and test with TRI Air Testing. Compressed Breathing Air testing to NFPA 1989, CGA Grade D, OSHA, PADI, Grade E, Grade E oxygen compatible for Nitrox, CSA and many more. Our Compressed Air Sampling Equipment was designed to capture a non-pressurized sample of compressed breathing air for compressed air analysis by TRI's accredited laboratory. Compressed air is a critical utility found in manufacturing facilities. There are a variety of standards for compressed air and the quality of air required throughout a compressed air system can vary. TRI recommends Direct Product Contact, SQF Compressed Air Purity, United States Pharmacopeia (USP), the European Pharmacopeia, or the ISO 8573 compressed air standard for Points of Use (POU). We know compressed air so you don't have to! TRI’s analytical laboratory has been accredited by the American Industrial Hygiene Association – Laboratory Accreditation Programs (AIHA-LAP, LLC) since May of 1980 (Laboratory Number 101505). CLICK HERE to view our AIHA Accreditation Certificate & AIHA Scope of Accreditation and be taken to our Accreditations page.